Kathleen S. Burgess fashions the world of a couple hitchhiking from the United States into Mexico and then into South America: "From the mirage of puddle and sky, / a black Cadillac emerges. Pulls to the berm, / blows up a storm cloud of grit and sting." Burgess's poems delight and entertain and remind us of who we are as they herald a respect for the Journey. 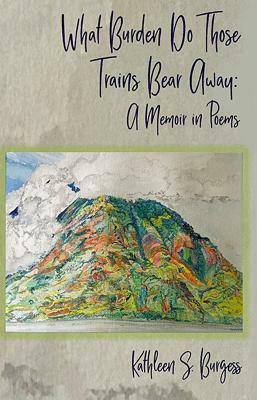 Hers is a book whose success comes in letting us ride shotgun on a bona fide adventure, one in which "Breezes spray us / in rainbows, rainbows dispersing the heat, the sting of home." --Roy Bentley, author of Walking with Eve in the Loved City.